Ethics are a society’s view of what is acceptable and unacceptable, but ethics aren’t constant - they evolve or devolve over time. And at any given time, one group or individual may hold themselves to higher or lower ethical standards than others. In this session we’ll discuss: the real meaning of ethics; “standards” used to define ethical behavior; why “standards” are necessary; how moral standards interact with ethical standards; and how ethical standards are applied to our business. Approved for 3 hours Ethics CE credit, CC: 76567. Your warm-up to convention - all attendees welcome! 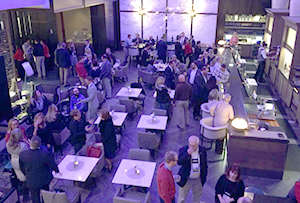 Young Agents start convention off right with a Pre-Convention Networking Event at the Rendezvous Lounge in the Amway Grand Lobby. Ever had a disagreement with an adjuster about whether a claim is covered or not? Or posed a coverage question to an underwriter and failed to reach a consensus about coverage? This session, using dozens of real-life examples, presents a structured approach to policy interpretation and claims negotiation to resolve real world coverage disputes without litigation. Approved for 3 hours P/C CE credit, CC: 76569. A look at how data is collected in the management system and how to maintain integrity. The components of an electronic file will also be covered, including the retention of electronic records and best practices for archiving and/or purging of data. Approved for 3 hours Any CE credit, CC: 76843. A sales operation needs the people power to accomplish its mission. That includes assessing your sales program, prospective and current staff – and knowing your agency needs. Joan covers all of this, including recommended qualifications of a successful producer, how to interview, what to ask, and what to watch out for. She'll also cover selecting and making the offer, sales goal setting and monitoring, as well as training new sales people. Includes sample forms and assessment tools. No CE. Dave Evans, CFP, AIFA, to present Impact of Tax Legislation on My Agency. There are significant implications regarding the decrease in the corporate income tax rates, personal income tax rates and the Qualified Business Income (QBI) pass-through deduction. As a result, agencies need to revisit their approach to compensation, benefits and other business expenditures to make sure their current approach maximizes the value of the tax benefits to the owners and agency. No CE. Discover common coverage gaps found in many insurance policies and the remedies for such gaps in the form of insurance products or risk management techniques. Included are horrible policy forms to avoid or be wary of, endorsements that show up that the agents didn’t ask for, endorsements to use on almost every policy and why, policy form exclusions and limitations that can be handled but rarely are, coverage/endorsements that don’t do what you think they do, and things that do what you don’t think they do. Approved for 3 hours P/C CE credit, CC: 76571. This session will provide a format to evaluate your own utilization of technology in the agency and how to fully implement what is available to position your agency for the future. We’ll also visit the impact of InsureTech and how agencies can better position themselves to compete. Approved for 3 hours Any CE credit, CC: 76845. Prospecting is hard, and even harder if you don’t have a game plan. Fortunately, Joan has a playbook. In this session, you’ll analyze your prospecting skills, get tips on where to find prospects, and cover successful game plans based on type of prospecting (cold call, face-to-face, email/mail). Joan will also cover avoiding common mistakes and that all important follow-up! Includes sample prospect forms and letters. No CE. Won't you join us in the Center Concourse before heading out for a night on the town? Contractors make up a high percentage of many commercial agents’ book of business. With that, contractors also require a high percentage of the agency’s time. This session helps you deal with many of the issues related to contractual risk transfer and certificates of insurance by answering a few key questions ranging from what is contractual transfer of risk to what wording should NEVER be used on a COI. Approved for 3 hours P/C CE, CC: 76568 credit. In this session, Rick will explore the major sources of law with respect to privacy concerns relevant to the insurance industry. Included is a discussion of non-insurance and insurance risk management solutions. Approved for 3 hours P/C CE credit, CC: 76570. Come learn how to build a program that will help you attract and select great talent that will solve your hiring needs now and into the future. Approved for 3 hours Any CE credit, CC: 76844. Innovation & Insurance: A Panel Discussion. Come hear an industry panel discuss innovation and insurance: where we are and where we need to go. Press Play! 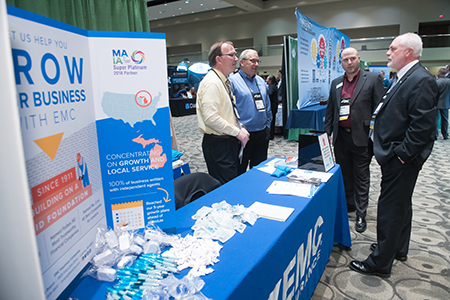 Come to hear what MAIA is doing on your behalf, in a new Membership Meeting format! Brian Bartosh is President of Top O' Michigan Insurance Agency, Inc., based in Alpena, Michigan. The agency is in a select group of clients of Applied Systems that participate in Controlled Release process. 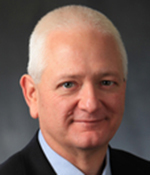 Brian has served as chair of the users group for Applied Systems (ASCnet) and also previously as President. He currently participates and leads many working groups in the industry to focus on enhancing the client experiences. Brian serves as Secretary of the ID Federation (Sign On Once) and as the industry liaison to ACORD for the ACORD Users Group Information Exchange (AUGIE). He participates on the Agent's Council on Technology (ACT) committee and other industry organizations. Brian also serves as a National Faculty Member of The National Alliance and presents on the topic of Agency Management. Art Betancourt is the CEO and Founder of AEBetancourt. Established in 2015 and headquartered in Downtown Grand Rapids, AEBetancourt is a fast growing talent strategy consulting firm with a national client base. Utilizing a unique Talent Development Insourcing model, AEBetancourt brings a modern and unique solution to the talent development industry. Throughout his career Art has worked with hundreds of organizations, from small businesses to Fortune 500 companies, helping recruit, select and train employees for critical positions. Art has conducted more than 14,000 interviews and recruited and trained hundreds of employees for his clients. 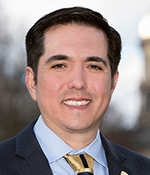 Prior to AE Betancourt, he was a Vice President and Partner at MarshBerry & Company, the nation's preeminent provider of financial, operational, sales management and organizational services within the insurance distribution system. 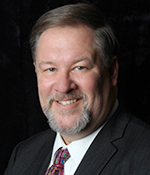 Christopher J. Boggs, CPCU, ARM, ALCM, LPCS, AAI, APA, CWCA, CRIS, AINS, is the Executive Director of the Independent Insurance Agents and Brokers of America (Big "I") Virtual University. He’s involved in researching, writing, and teaching property and casualty insurance coverages and concepts to Big "I" members and others in the insurance industry. During his career, Boggs has authored hundreds of insurance and risk management-related articles, and has written several insurance and risk management books. Boggs is a regular speaker at industry events and earned the 2017 Institute and Faculty of Actuaries (IFoA) Brian Hey Prize as part of a of professional collaboration with a diverse group of professionals. 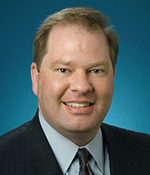 Richard S. Pitts is Vice-President and General Counsel to Arlington/Roe, an insurance brokerage and general agent in Indianapolis. Additionally, Rick serves as general counsel to the Independent Insurance Agents of Indiana, Inc. and speaks annually at the association’s New Laws Seminars. Rick also teaches various seminars on insurance and employment related matters. 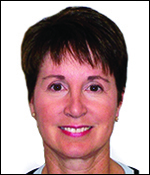 Joan Sansing, CIC, ARM, AAI, is president of Sansing Consulting, Inc. She began her insurance career with Liberty Mutual before joining the independent agency system in 1983 as a commercial lines producer. In 10 years she held the positions of agency owner, principal and sales manager. Joan has served as the agency management consultant to the Independent Insurance Agents of America, the education chairman for the Independent Insurance Agents of Maryland, and as associate director for The National Alliance Research Academy in Austin Texas. She currently serves as a faculty member of The National Alliance. Bill Wilson, CPCU, ARM, AIM, AAM is the founder of InsuranceCommentary.com. He retired from the Independent Insurance Agents & Brokers of America in 2016 where he served as Assoc. VP of Education and Research and was the founder and director of the Big “I” Virtual University for over 17 years. He is the former Director of Education & Technical Affairs for the Insurors of Tennessee. Bill was the recipient of the IIABA L.P. McCord National Education Award for having the #1 ranked state insurance education program in America. 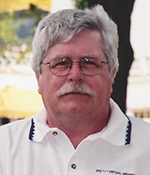 Bill has published dozens of technical articles, manuals and CDs/audio tapes, and has authored articles in business and industry trade periodicals. He is author of, When Words Collide: Resolving Insurance Coverage and Claims Disputes. 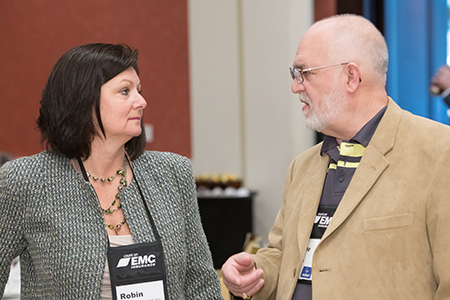 With more than 100 years of strength, stability and success, EMC is fully dedicated to the independent agency system because we believe in the value you bring to the insurance process. Count on EMC® to support you with service, stability and so much more. Learn more. We're in this business to help independent agencies grow and move forward. It's as simple as that. We're driven by the philosophy that if we help agencies solve their IT issues so they can become more profitable and successful, then we will inherently grow along with them. There is no catch, no gimmick, just experience and best practices that we've honed over the years to make our services work for YOUR agency needs. Learn more. AAA was founded over 100 years ago for the purpose of lobbying for driver and passenger rights, fair laws and safer vehicles — all to better promote the love of the open road and the adventure of driving. Since then, AAA has grown to over 50 million members strong, while providing valuable membership services such as roadside assistance. Additionally, AAA has broadened its horizons to include all types of travel-related services, as well as offer a variety of insurance and financial products and services. Learn more. Arlington/Roe is a managing general agency and wholesale insurance brokerage firm with specialty practices. Our underwriters and brokers coordinate among specialty teams to meet the needs of multi-faceted risk opportunities, piecing each risk puzzle together for our appointed agencies. Our lines of business range from motorcycles to complex environmental risks and everything in between. We are proud of the expertise of our 180 staff members and the breadth of our E&S and standard insurance company markets. Learn more. Auto-Owners Insurance is a mutual insurance company that offers auto, home, business and life insurance to policyholders exclusively through independent agents. The company, which is located in Delta Township, Michigan, is the largest property and casualty insurance company headquartered in Michigan. Learn more. Burns & Wilcox is an independent insurance wholesale broker and managing underwriter. The company offers over 300 insurance products and earned $140.1 million in revenue in 2010. Founded in 1969 by Herbert W. Kaufman, Burns & Wilcox now encompasses 37 offices in 24 states and one office in London, England. Learn more. Citizens Insurance Company of America, based in Howell, Michigan, is a leading provider of personal and commercial property and casualty insurance, primarily in the Midwest, and through a select group of independent insurance agents and brokers. Founded in 1915, Citizens is a member of The Hanover Insurance Group, based in Worcester, Mass. Learn more. With over 50 years of first hand agency management experience, founder and President Clare Rothi built Premco Financial Corporation around the cornerstone of providing unparalleled products and services to Independent Agents, spanning the scope of both personal and commercial lines. The Company is owned and managed by leading Independent Agents with extensive experience in finance, management, accounting and P&C insurance, making us more sensitive to the market and in-tune to the needs of today's agent. Learn more. The Progressive Corporation is one of the largest providers of car insurance in the United States. The company also insures motorcycles, boats, RVs and commercial vehicles, and provides home insurance through select companies. The company was co-founded in 1937 by Jack Green and Joseph M. Lewis, and is headquartered in Mayfield Village, Ohio. Progressive ranked No. 112 in the 2018 Fortune 500 list of the largest United States corporations by total revenue. Learn more. Frankenmuth Insurance has been providing peace of mind for families and businesses for 150 years. We work exclusively with independent agents, and employ more than 600 employees. Frankenmuth Insurance is financially sound, with more than $1 billion in assets and an A.M. Best rating of “A”. We work cooperatively and collectively to serve our policyholders, agents and communities. Learn more. 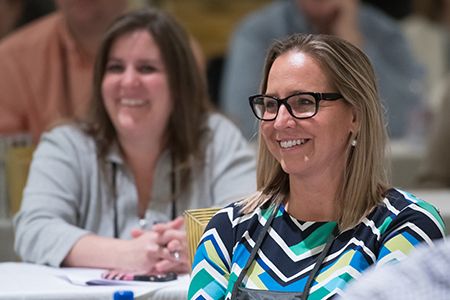 For independent insurance agencies who aspire to strengthen their agency, Keystone offers access to industry expertise, carriers, and connection to a community of like-minded agencies. For insurance carriers who want to develop relationships with independent agencies, Keystone offers a network of quality independent agencies and an innovative approach that aims to tap new markets and develop new products. Learn more. Swiss Re Corporate Solutions is the commercial insurance arm of the Swiss Re Group. Our extensive knowledge and expertise allows us to understand the risks you face today, anticipate the risks you'll face tomorrow and tailor your coverage accordingly. It's our goal to make your business, and the world, more resilient. Learn more. Pioneer State Mutual Insurance Co.
Berkshire Hathaway GUARD Ins. Cos.
Dave Evans, CFP, AIFA, Dave Evans, CFP AIFA, has had a long career at IIABA with a variety of responsibilities which have included overseeing the Big “I” MEP 401(k) Plan, the Trusted Choice consumer brand, company relations, magazine publisher and member development programs including education and research. Dave started his career with a national employee benefits consulting firm in NYC before co-founding his own firm in upstate NY. He is a frequent author and speaker in the areas of employee benefits, retirement planning and financial literacy. He has authored over 150 articles, is co-author of The Practical Agency Planner and has testified before a Congressional Committee overseeing 401(k) Plan legislation following Enron’s collapse. Dave is regularly quoted and featured in broadcast and print media outlets and has been a guest lecturer at the Washington & Lee School of Law in the area of employee benefits.